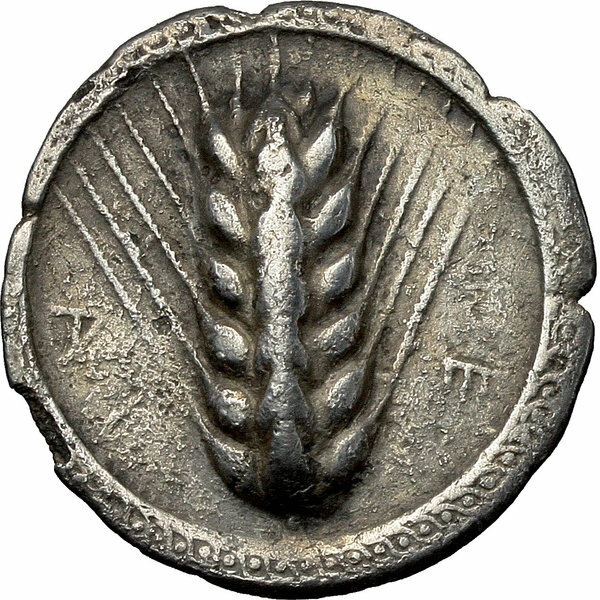 Coins 7 Greek Italy. Southern Lucania, Metapontum. 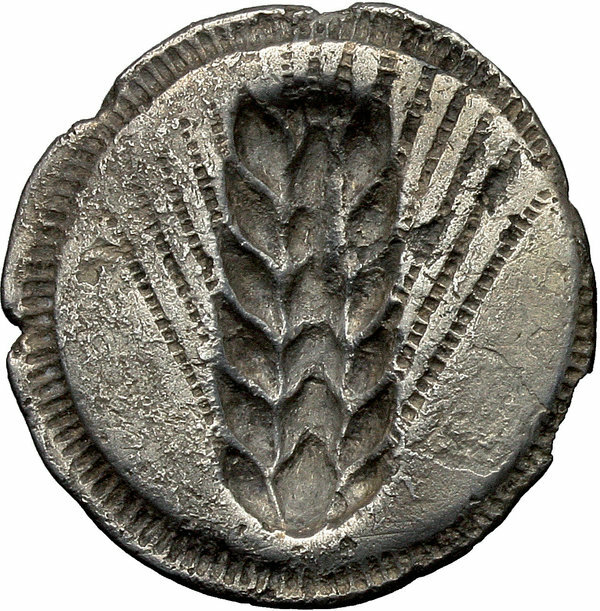 AR Stater, 540-510 BC. D/ Six-grained barley ear with small additional terminal grains; ME (retrograde) to right, TA (retrograde) to left. R/ Ähre incus. HN Italy 1470. Noe class IV, 94. AR. g. 6.25 mm. 29.20 A few edge splits. Good VF.